You might not be able to sneak into the North Pole wearing your normal clothes. Those elves are on high alert to make sure no one discovers Santa's secret workshop! But if you wear this elf hoodie, you may just be able to sneak past the guards and finally make it into the workshop. It helps keep you warm in cold weather and with its authentic looking elf hood, those elf guard won't realize that you're not the real deal until it's too late! (Of course, all this is pending that you're able to find a ride to the North Pole in the first place). 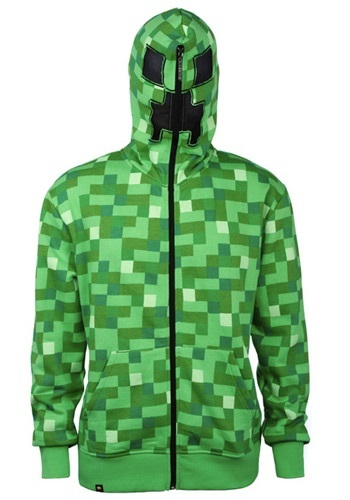 Get ready to ambush surrounding players in this Adult Minecraft Creeper Hoodie. Just please don't blow up around me. I didn't do any thing to you! HIIISSSS... Run!!! Bears are known for a lot of different things, like stealing picnic baskets, raising children in the jungle and preventing forest fires. How about we add one more thing to that list. It's called being adorable. With this hoodie it won't be too difficult. Just imagine your little one taking a nap while wearing this hoodie, which looks like a bear. You do the math. It's super cute time. Been hunting for the perfect buck? With this cute deer hoodie, it turns your little one into a cute woodland animal and a normal game of hide and seek becomes a game of deer hunting! When you hear the word 'six-pack' what comes to mind? Do you think of a chiseled chest or cans of ice cold beer? If you prefer the latter, then we have great news for you: you can have both! If you wear this Faux Real Muscle Hoodie you will 1)be warm 2) be cozy and 3) look buff and tough. Plus you still get to slam a six pack and it won't affect your rock hard physique! You'll be Mr. Popular when you walk into a party or a bar wearing this muscle hoodie. Be prepared to take lots of pictures with random girls, which will be a lot of fun for you we're sure! Don't got time to work out? We get it. Going to the gym every day is hard to fit into a busy schedule, but that doesn't mean you should give up on your dreams of having six-pack abs. This Faux Real Muscular Hoodie makes it look like you've been pumping some serious iron at the gym and all you have to do is zip it up. We won't tell anyone that you don't really have pecs of steel if you don't. If your kid wants to be a superhero, but tights really aren't his thing, then we've come up with the perfect solution. This hoodie combines classic superhero style with practicality. Tights might be easy to move in, but sometimes you just need something with a little more substance while fighting super villains. That's why this licensed sweatshirt has the Superman logo in front , so it's ready for super powered action and cold weather. When your kid is a 900 year old Jedi Master with all the answers about the Force, it's kind of hard to win an argument with him. It's not because of his wisdom, but more the fact that he speaks in a weird syntax that's hard to understand. The good news is, having your kid wear this Star Wars hoodie shaped like Yoda, doesn't actually turn him into the Jedi Master. It just keeps him really warm and cozy, whether he's chilling on Dagobah, or playing outside in the yard. Once you see your little one wearing a cute duck hoodie like this one, it's hard to go back to having them wear normal hoodies. It keeps your kid warm and it makes him look adorable. It also makes some kids start yelling, "Quack! Quack! Quack!" Who wouldn't want to be Sully's best bud? He's the big man on campus. Now you can look like the big man on campus when you wear this Monsters University Sulley Hoodie. 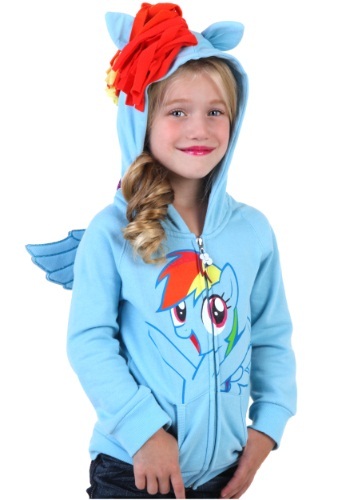 This is a cozy and comfortable hoodie that will make you look like the large furry blue monster that everyone admires! Getting into the Holiday spirit isn't always the easiest task. Sometimes you just don't feel it in your heart, even as the world around you turns into a winter Christmas wonderland. We have something that might just help... this Plus Size Adult Santa Hoodie! It has a delightful little hood hat, and even a gold buckle. We think it's probably impossible for anyone to don this thing and not belt out a hearty, "Ho, Ho, Ho!" Sskr. Sskr. Practice your air mask noises. Because sometimes you just happen to be in a bind. Toss on this Star Wars Full Face Darth Vader Hoodie before heading out to battle Jedi or to grab the newspaper. Just because you're a loyal soldier, doesn't mean you won't get chilly from time to time. Does the planet Hoth not send shivers down your ... armor? Stay warm while battling against the Rebel Alliance in this Stormtrooper Hoodie. Do you have problems changing into your full-on Teenage Mutant Ninja Turtles costume when crime breaks loose in your city? Are you having problems stuffing a giant, life-sized replica of your Leonardo turtle shell in your backpack? Well, we have the ultimate solution for you! This hoodie is super stylish, super comfortable and turns you into a crime fighting mutant reptile in a matter of seconds. With a flip-down mask, you can hide your identity no problem. You'll look just like all the other human-sized anthropomorphic turtles that are normally roaming the streets of your city. We know how it goes. You've ordered a pizza from your favorite pizzeria; you're about to watch your favorite movie, but something just isn't quite right. Something's just a little off. You don't feel enough like a ninja or a turtle to be fully enjoying the moment. Don't worry, because we've got you covered. This Raphael hoodie has the enough Ninja Turtle goodness to make you feel a warm happy feeling inside when you eat your favorite slice of pizza (whether or not you put extra peppers on the pizza). 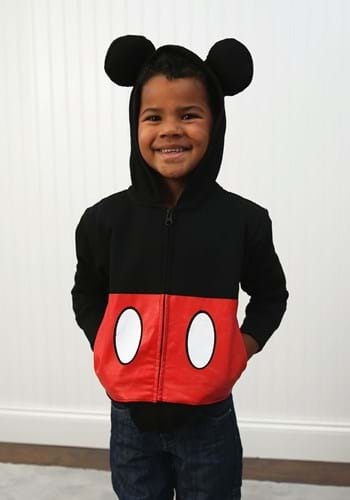 Your toddler can even give Mickey Mouse a run for his money in this adorable zip-up hoodie! It's comfy, warm and totally makes your kid look like he could pilot a steamboat down the river. Also, all the girl mice think it looks cute, even though your little one probably still thinks girls are icky. Whether fighting the Shredder, keeping warm in cold weather, or chilling at home and eating a pizza, Michelangelo knows how to stay comfortable. 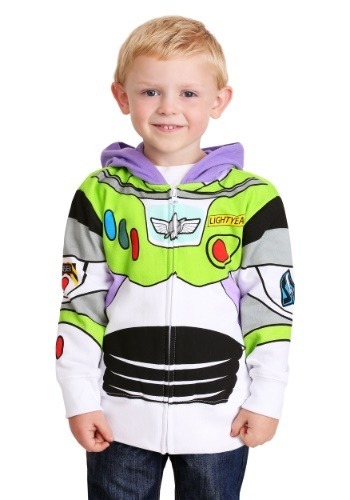 This TMNT hoodie does just that for your little one! The only thing missing from it is a set of nunchucks for your kid to beat up the Foot Clan with. Get a modern twist on a classic costume with this Women's Pink Skeleton Hooded Sweatshirt! Wear it with black pants or leggings for a quick and easy Halloween costume. A great way to stay warm during October! Finn and Jake found the perfect roommate to share their tree house with. Not only does BMO go on adventures with them, but he/she/it (no one really knows) can play video games like a video game console, he can play music like an MP3 player and he even acts as a pretty decent flashlight. With BMO, it's kind of like having your smart phone turn into your best friend, except with the adorable voice of Niki Yang. Now, with this hoodie, you can look just like the Adventure Time character! Heck, when you wear this cute hoodie, you can even do weird junk when no one's looking, like teach your reflection how to be a real living boy or marry a water bubble.